Just like a wheel makes up only one part (although important) of a bike, the Nutrition Facts table makes up only one part of a food label. When seeking guidance from a food labelling consulting firm, it helps to know what to ask for. By using the appropriate terminology, it will be easier for you to express your specific labelling needs. The Nutrition Facts table is the part of a food label that provides information about a product’s nutritional composition, i.e. its energy value (Calories), nutrient content (fat, carbohydrate, protein, minerals, etc.) and the percent of daily value for several nutrients per serving of stated size. How does the Food Label differ from a Nutrition Facts table? 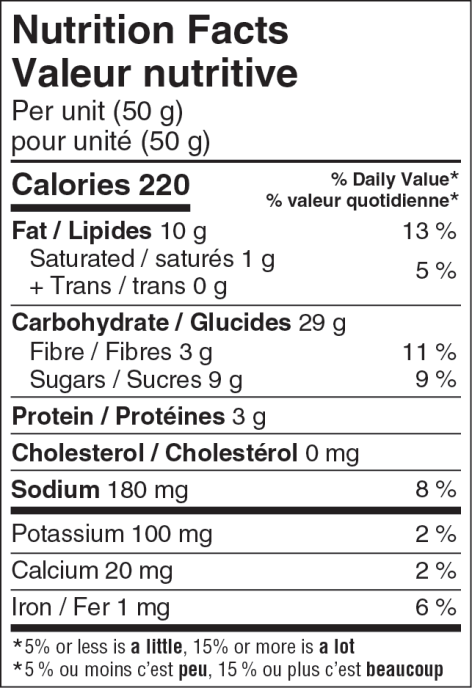 A food label includes all the information shown on the package. Some label elements are mandatory (e.g. the product common name, the nutrition facts table, the ingredient list, etc. ), while other label elements are voluntary (e.g. product description, value-added claims, recipes). Whether a given label element is required by law or added voluntarily, it must be verified for legal compliance and linguistic quality. Even voluntary label elements are subject to legal requirements to make sure the consumer is not deceived. Understanding the difference between a Nutrition Facts table and a Food Label can help obtain a quote that meets your expectations. ACC Label has been a key partner of the food industry since 1990 – already 28 years! 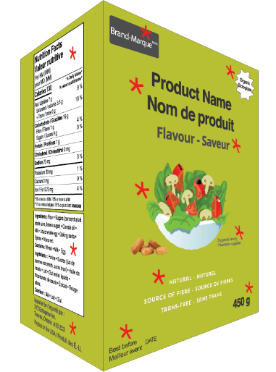 Clients from all over the world come to us for guidance on how to make their food labels compliant with Canadian food labelling legal requirements. Whether you need a nutrition facts table, in print-ready format or a full regulatory review and translation of your label, ask us for a quote by clicking here.